With 25°+ days up on the mountain in the last week (30°+ in town! ), it was a bit of a surprise to wake up to a snowy paradise this morning! We'll be back up & running tomorrow – the snow hasn't survived the sun today so the trails will be open for your riding pleasure at 10am! The weather for this weekend is looking sweeeeet as! The team at Mountainwatch are predicting a sunny weekend, a bit more precip on Monday/Tuesday, then the sun will be back for later on in the week. All our other trail previews are below in this handy dandy YouTube playlist! Next Friday we're kicking off the first of 4 social racing nights – the Racers Edge Fast Fridays! Get a team together or ride solo... bragging rights, beer, & food packs are up for grabs each Friday racing runs! The Altherm Window Systems NZ Mountain Bike Nationals are right around the corner – they're on at the end of this month! We'll see you all up here on February 24 & 25 to see the best in the country battle it out for their national titles. The Cycling NZ website has all the important information you need for Nationals & the link to register. 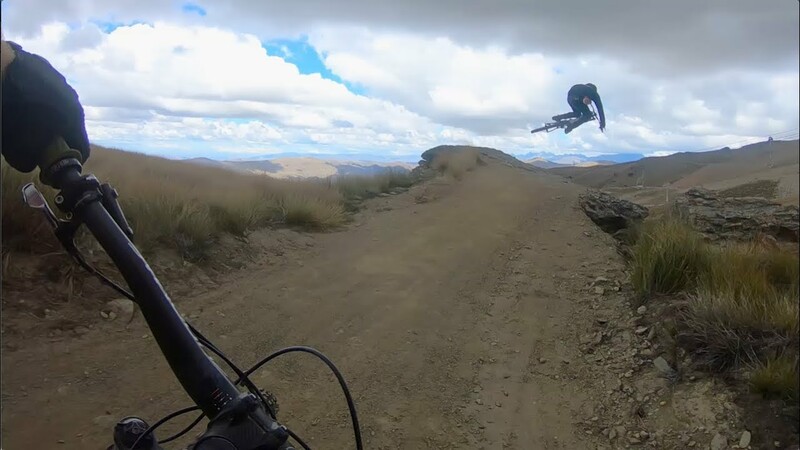 We'll see you all up here for another wicked week of summer fun at Cardrona!